Nature journal has included Viktor Grokhovsky, a professor from Russia’s Urals, in the list of 10 scientists who “mattered” in 2013. 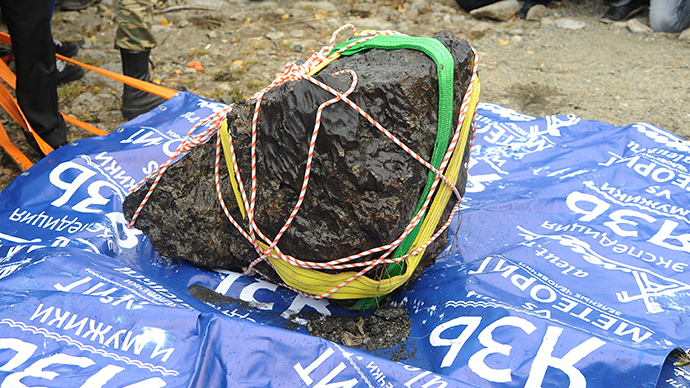 He was able to track down fragments of “the biggest object to hit our planet in a century” – the Chelyabinsk meteorite. The prominent scientific journal in its ‘Nature’s 10’ list for 2013 hailed breakthroughs in areas ranging from creating a tool to customize DNA in bacteria to fighting, even in courts, against pharmaceutical companies snatching up patents on human genes Proof that babies born with HIV can be cured goes hand in hand with search for sister Earths – and the meteorite which roared into the news at the dawn of the year. 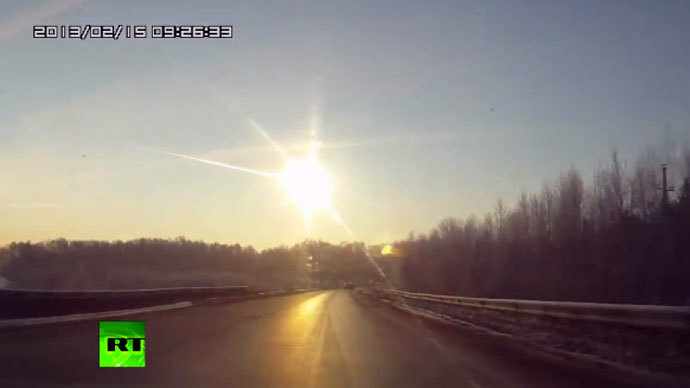 When a 13,000-ton celestial body exploded over the Russian city of Chelyabinsk on February 15, not only did it come as a surprise for astronomers, but also created a long-lasting puzzle on where the remains of the enormous rock could have gone. 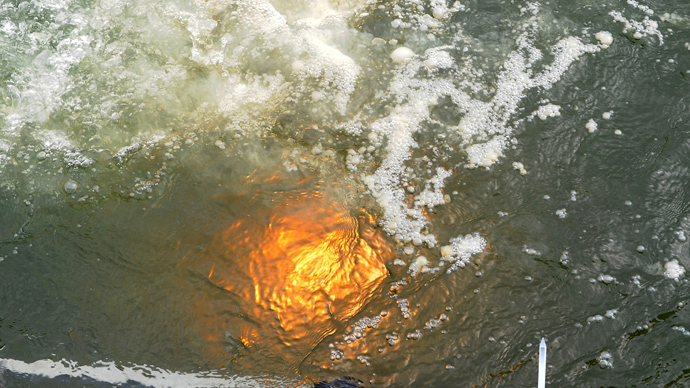 Even after a large suspicious-looking ice hole was discovered in Lake Chebarkul near Chelyabinsk, it was soon dismissed as having formed for “other reasons”, as the initial attempts to search the lake’s bed for meteorite parts proved fruitless. 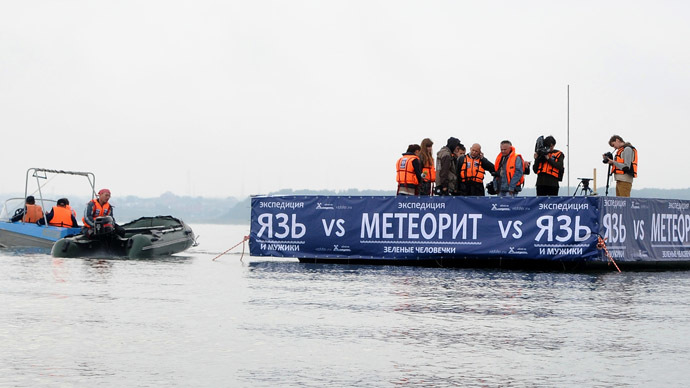 However, for meteorite expert Viktor Grokhovsky, who is a professor at the Urals University, and his team it was never in doubt that the remains of the object from space disappeared in Chebarkul’s waters. The researcher calculated the meteor’s trajectory, proving that the impact site was indeed a spot on the surface of the forest lake. He then supervised searches that unearthed more than 700 pieces of the space object, weighing a total of 5.5 kilograms. But Grokhovsky’s “greatest catch” came later in the year when the divers renewed their search of Lake Chebarkul’s muddy bottom. The scientist predicted that the biggest chunk was waiting to be picked up. 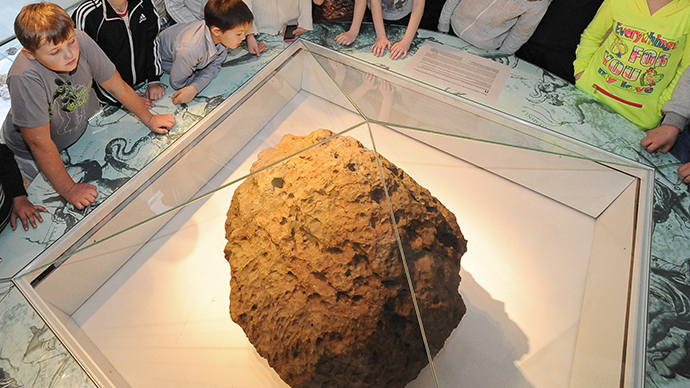 The first major fragments of the meteorite weighting up to 11 kilograms were “unearthed” by the divers in September. They then had to undertake a weeks-long operation to recover a huge half-ton chunk, which lay 20 meters under water and was buried under a thick layer of mud. When the piece was eventually lifted and weighed, it broke the scales and split into three. 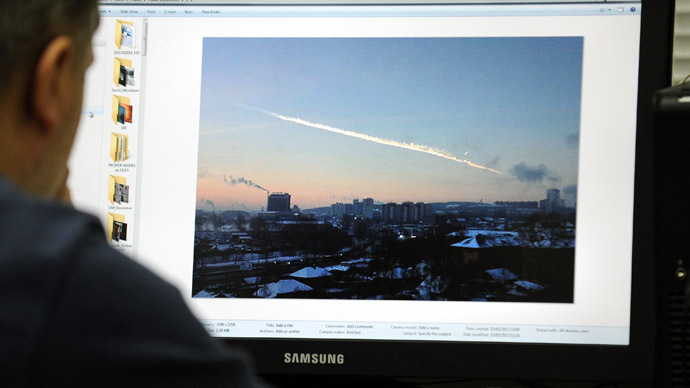 Further examination proved it was a 570-kilogram piece of the Chelyabinsk meteorite. “It was a great satisfaction when it turned out that our initial calculations had been correct,” Grokhovsky was quoted as saying by Nature. 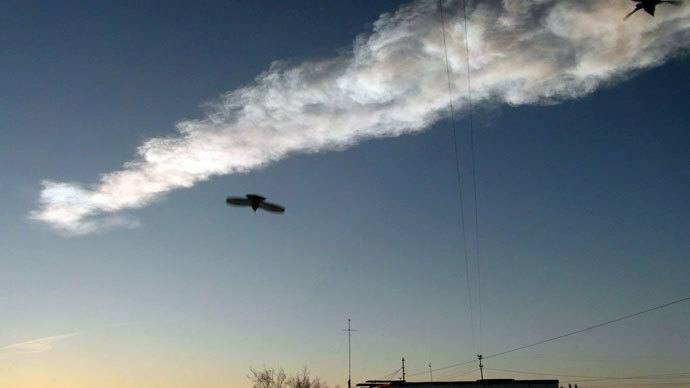 The Russian professor believes the importance of the meteorite is “hard to overestimate.” International scientists studying the meteorite and its spectacular fall have concluded that the danger from space rocks smashing into Earth is much bigger than previously thought. But for Grokhovsky, it was also a once-in-a-lifetime experience. “I was lucky enough to play a part in this exciting story about a space traveller’s adventures on Earth,” he told Nature. Another astronomer, Michel Mayor of the University of Geneva, hit the Top 10 for his discovery of an unusual exoplanet Kepler-78b and for measuring its density and size to prove it is the closest analogue of Earth identified so far. While a 35-year-old physicist at the University of Oxford, Henry Snaith, was recognized for inventing a cheaper and much more efficient solar cell.